Van Heusen is sold in over 55 territories worldwide offering a wide range of product categories. Product categories include men’s and women’s dress furnishings, sportswear and accessories. The brand is distributed through department, specialty and 131 Van Heusen Stores outside the United State, and continues to be a top selling brand around the world. 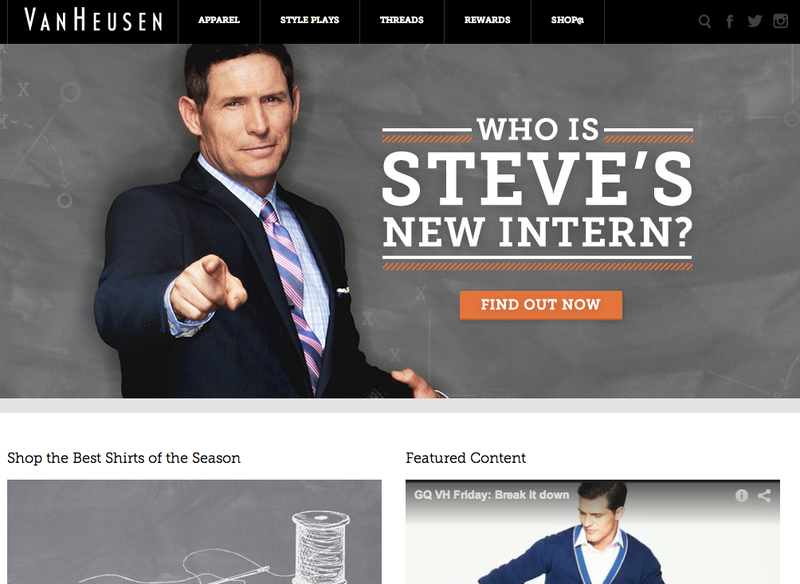 Van Heusen is on WordPress.com VIP, and the site a great mix of corporate information and news with a beautiful showroom with full-page photos for their mix of products.